Ethereal Legends Brings Turn Based RPG Gaming to VR! A question I often find myself asking is, “Where did all the turn based RPG’s go?” It is high time that we see a resurgence of the turn based RPG style that permeated the gaming world throughout the 90’s. I have so many fond memories of playing games like Chrono Trigger and of course one of my favorite games of all time, Final Fantasy 7. Sadly as some styles of gaming often do, the slower paced turn based RPG’s were replaced by the faster and more twitch oriented action RPG’s that we see today. However, one indie development team has taken on the challenge of resurrecting this style of gaming and aims to change all of that! Soverence studios , a small team consisting of developers Scott McCutchen and Jacob Corle are hard at work on a new game called Ethereal Legends which was recently Greenlit on Steam. The game is being developed in Unreal Engine 4 and the graphics show it! Using the UE4 engine was a great choice as it really makes VR games pop. However, for those who might be interested but don’t have a VR set up, this game will also be playable on a standard monitor. The story of Ethereal Legends takes place in a mythical world called Arcadia. In this game the player will guide a party of three characters, all with different powers and strengths. The first character named Absolut is a travelling wizard from a distant land. He is joined by Sonya, a beautiful heroine who is also a sword master. Finally rounding out the party is Morrigan, a young sorceress with the ability to fly. As it is in most RPG’s, a twist of fate brings them together in an epic struggle against a common enemy, a sorceress who worships an omnipotent god, and uses her powers to summon him in an effort to conquer Arcadia and all who reside within it’s borders. 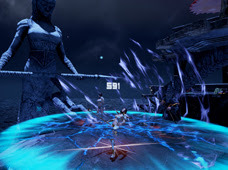 The gameplay in Ethereal Legends comes in two forms balancing exploration and combat modes. In exploration mode, players will be able to explore the games environments and manage their party, all while solving puzzles and speaking with various NPCs as well as uncovering hidden loot and hunting for enemies to battle. 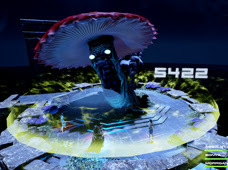 In the games combat mode, players are able to use spells and abilities to overcome a variety of powerful enemies. As I mentioned earlier this game brings back the ATB battle system that was popularized by the early Final Fantasy games giving players more time to plan attacks and strategically make their next moves. 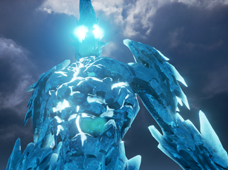 Currently Ethereal Legends is in a private alpha test phase exclusively for Steam users. If you would like to apply for admission to this alpha, you must have Steam installed and fill out a small application that can be found on the Alpha sign up page that can be found on the developers site. Soverence is not guaranteeing that players will be accepted, but if use Steam and love RPG’s then nothing ventured, nothing gained right? Also, if you own a DK2 you can check out a demo on Oculus Share. Ethereal Legends is slated to be released sometime in 2016 with an expected price of $19.99. As a fan of the turn based RPG’s of old I can’t wait to see what is in store for the finished product! * all images sourced from the developers website.